Seeking to understand how literary texts both shaped and reflected the century's debates over adolescent female education, this book examines fictional works and historical documents featuring descriptions of girls' formal educational experiences between the 1810s and the 1890s. 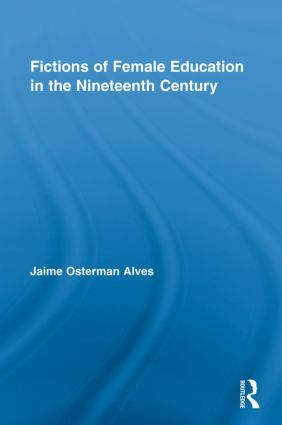 Alves argues that the emergence of schoolgirl culture in nineteenth-century America presented significant challenges to subsequent constructions of normative femininity. The trope of the adolescent schoolgirl was a carrier of shifting cultural anxieties about how formal education would disrupt the customary maid-wife-mother cycle and turn young females off to prevailing gender roles. By tracing the figure of the schoolgirl at crossroads between educational and other institutions - in texts written by and about girls from a variety of racial, ethnic, and class backgrounds - this book transcends the limitations of "separate spheres" inquiry and enriches our understanding of how girls negotiated complex gender roles in the nineteenth century.